Monday saw the start of the Republican National Convention, an important weeklong event which will, most importantly, mean that I can stop typing "presumptive" every time I mention presumptive Republican presidential nominee Donald Trump. While a lot of people have been having mature conversations about who will be speaking and what impact the convention will have on the election, those of us who are just trying to get through the day with a little bit of levity are wondering how many Pokemon we could catch at the RNC. I'm not going to pretend I know a lot about Pokemon Go, but I have almost walked into several people downtown who weren't paying attention to where they were going because they were playing the game. (I, on the other hand, wasn't paying attention because I was trying to remember where I left my sunglasses.) But while I might not have a firm grasp on what a lucky egg is or how powerful a Squirtle can be, there are many, many people currently wandering around Cleveland who do, and they are finding that the convention center and the surrounding area are ripe for catching 'em all. In the name of a well-researched story, Yahoo! national correspondent Hunter Walker reported that not only is the Quicken Loans Arena a gym, but the area also has several PokeStops with in-game treats. You can also potentially capture Drowzee, Pidgey, Weedle, Spearow, Gastly, and even Abra. Walker isn't the only reporter finding Pokemon while he waits for the convention to get underway. WKYC Channel 3 found a Weedle. USA Today digital editor Natalie DiBlasio plans to use Periscope to cover all the Pokemon she finds while at the RNC. As of this writing, the Quicken Loans Area gym is being held by Team Mystic, but who knows how long that could last. If you don't find yourself in the convention center, have no fear. There are many Cleveland Pokemon hot spots, including Case Western Reserve University, which has multiple PokeStops and gyms, Lakeview Cemetery, Ohio's City Market Square Park, where you can reload Pokeballs and potions multiple times without moving location because it's in the middle of multiple PokeStops, and the Rock and Roll Hall of Fame, where you can allegedly find some rare Pokemon. All those spots are within five miles of the convention center, and there are likely more hanging out all around the area. Just remember: If you do play Pokemon — around the RNC or anywhere else — make sure you watch your step and play safe. 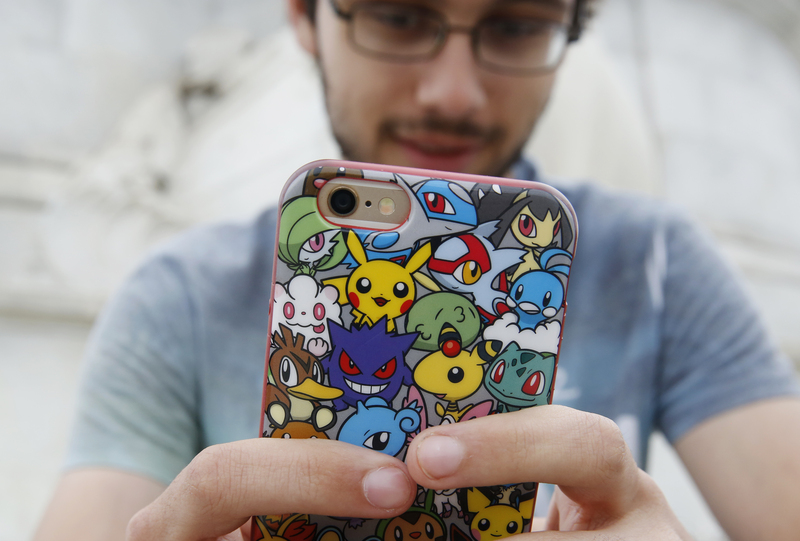 We really don't need anymore Pokemon-related injuries.